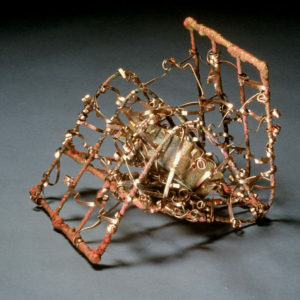 This body work work was produced in the late 1990’s until the early 2000’s. 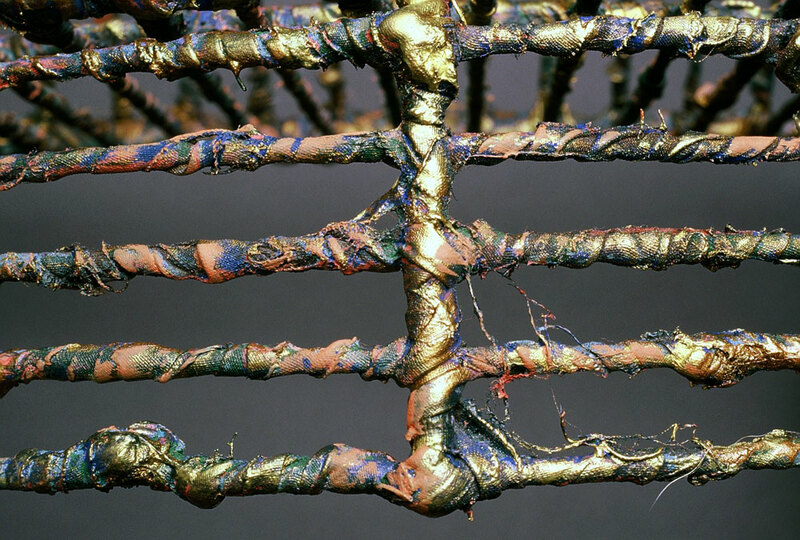 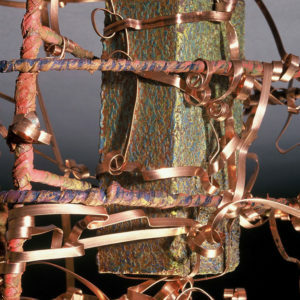 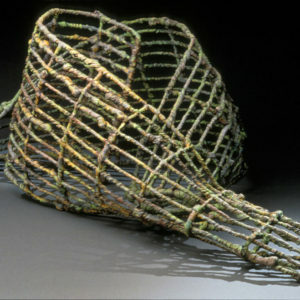 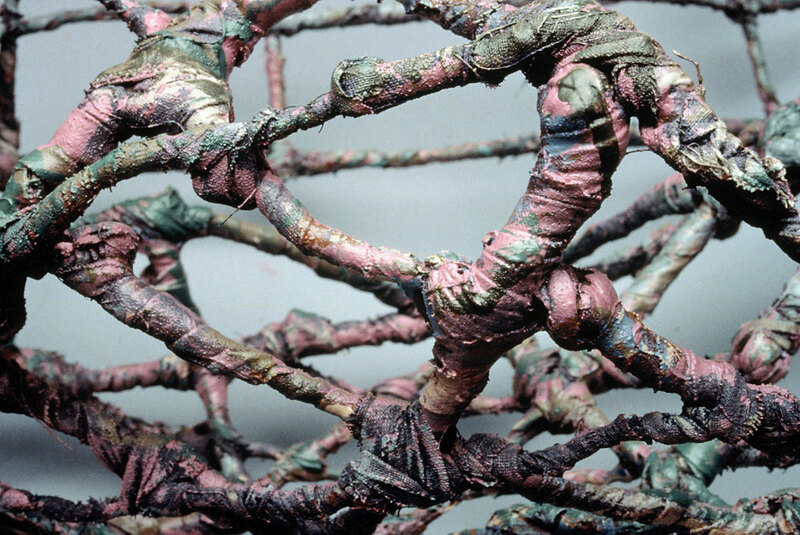 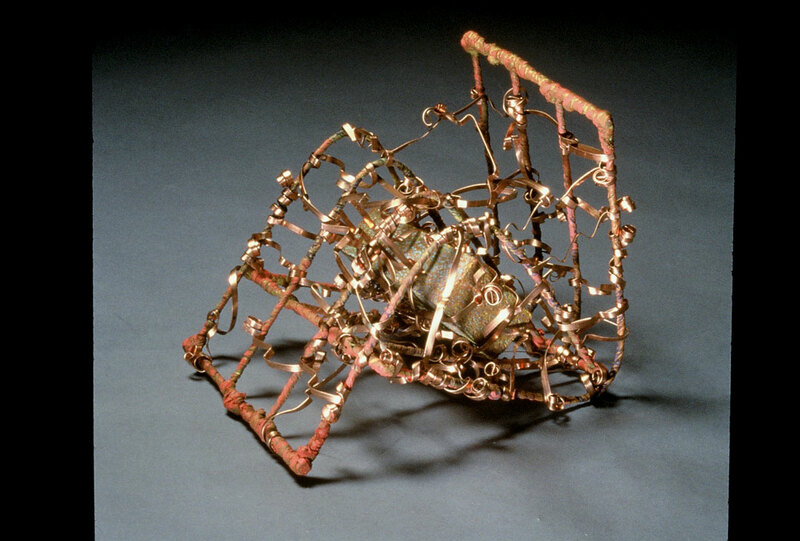 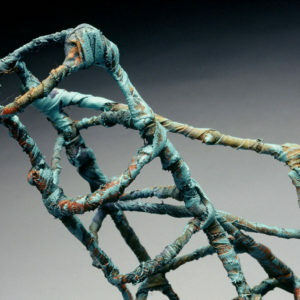 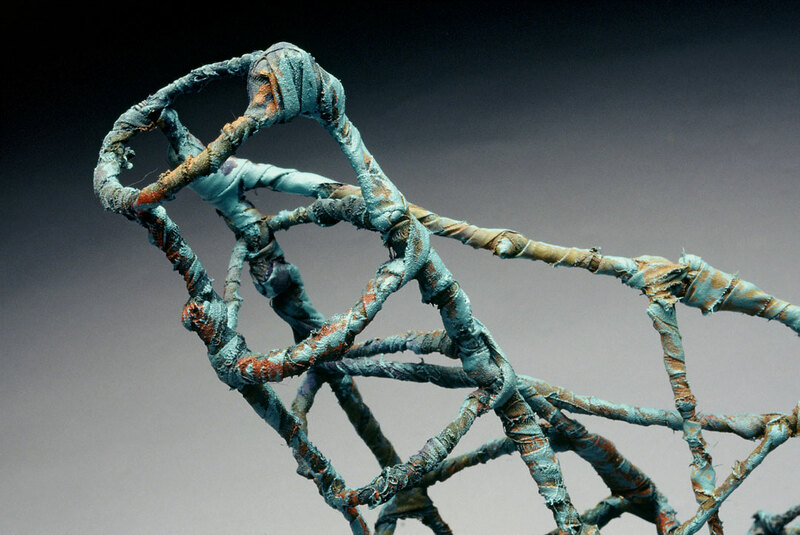 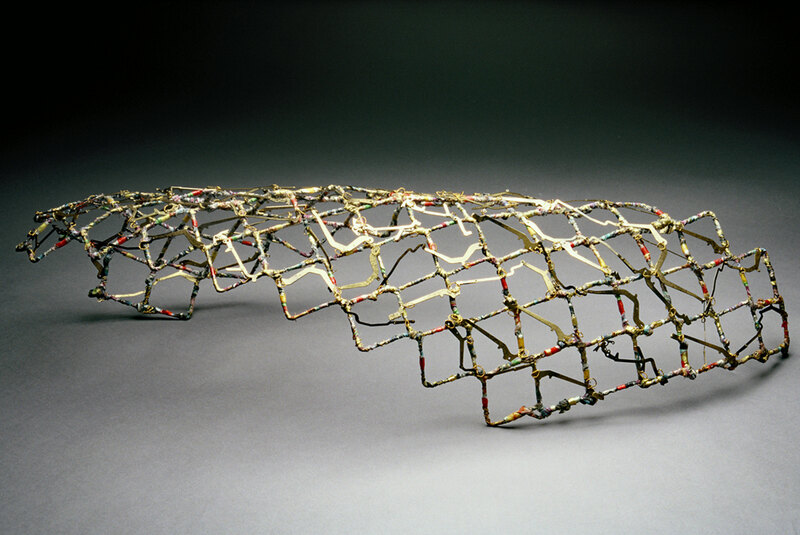 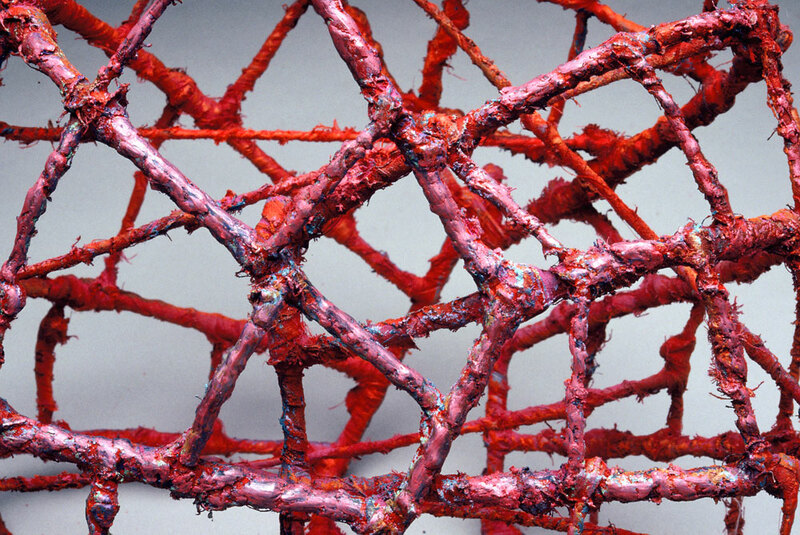 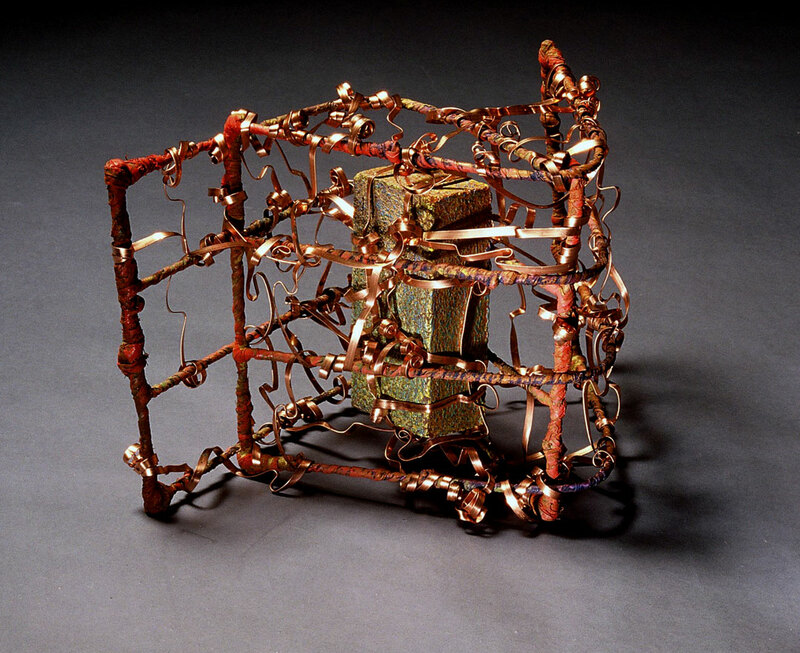 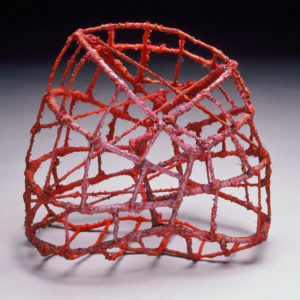 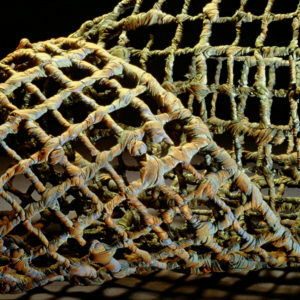 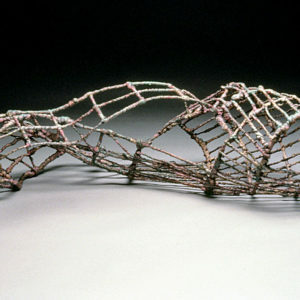 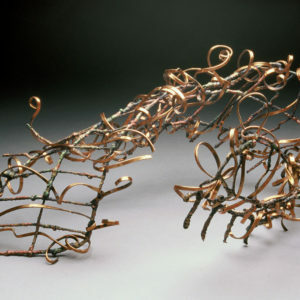 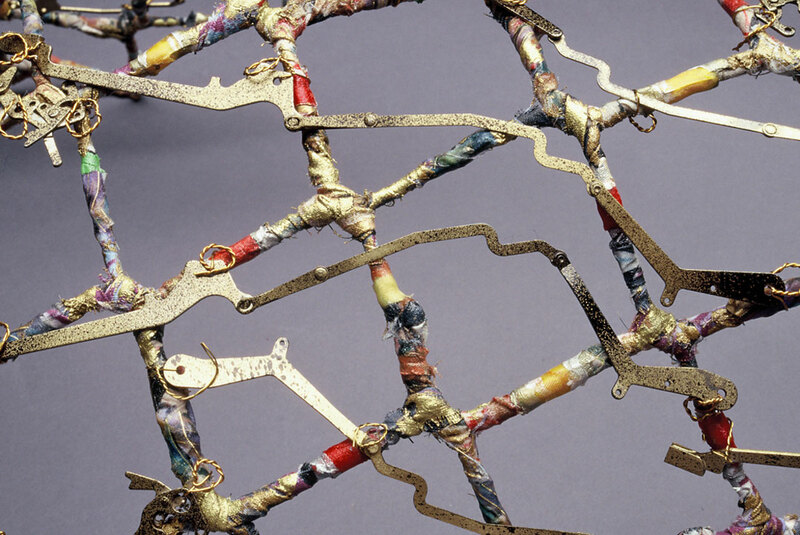 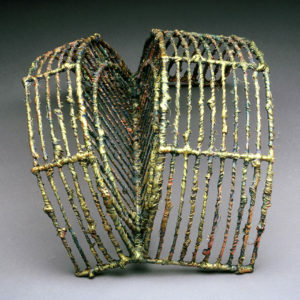 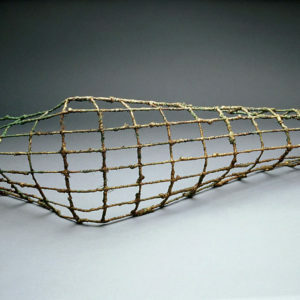 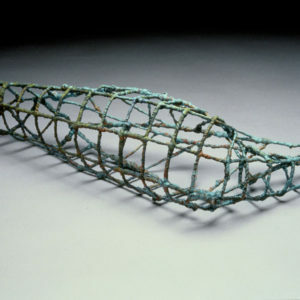 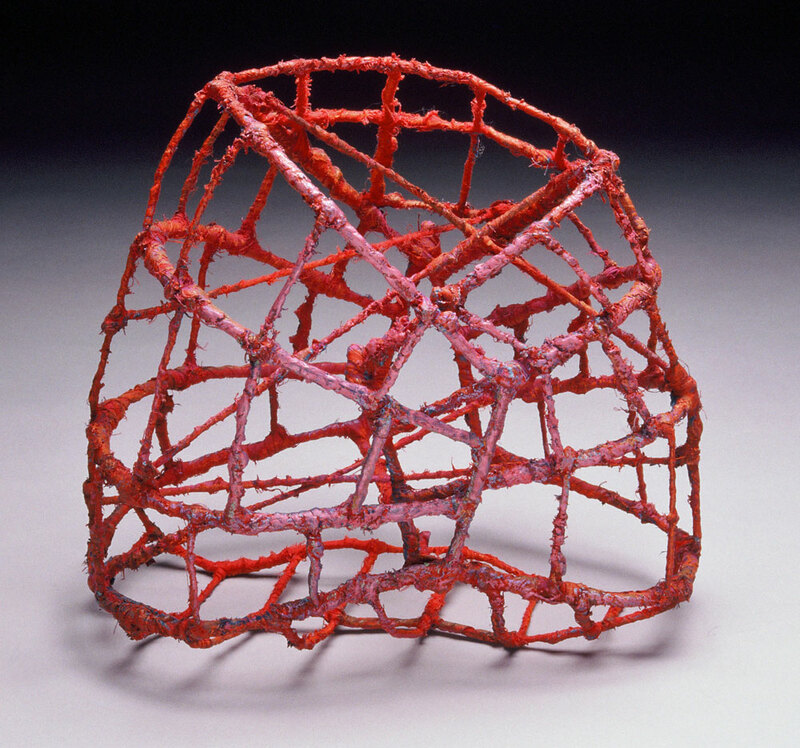 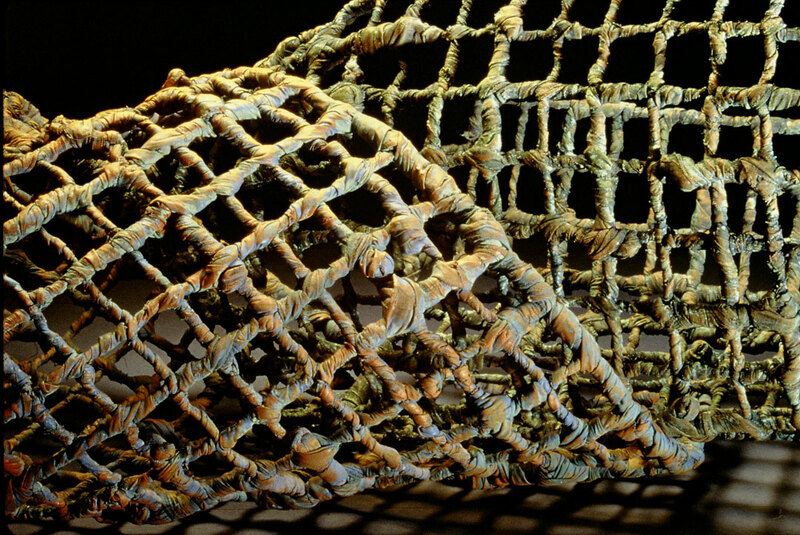 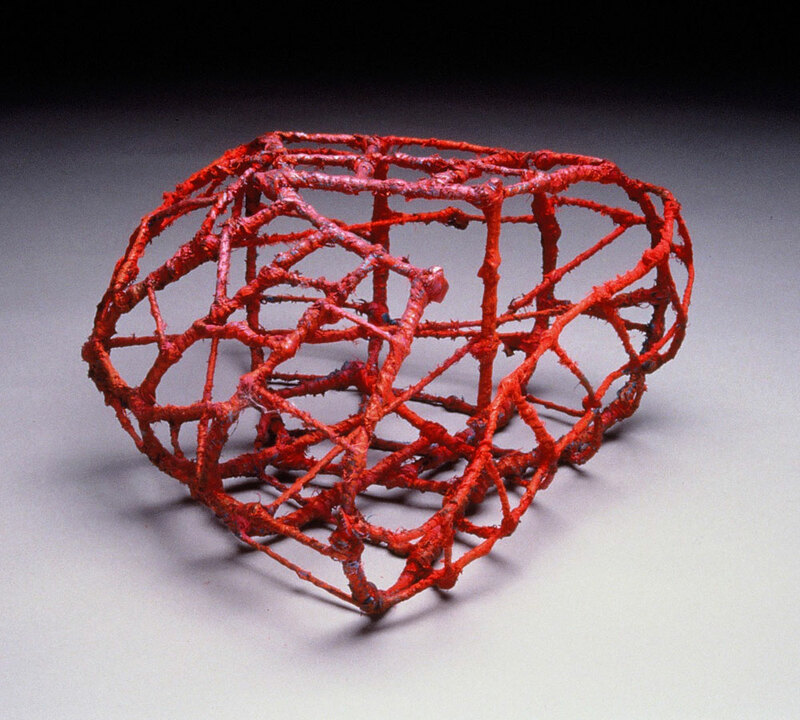 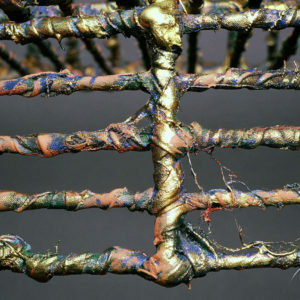 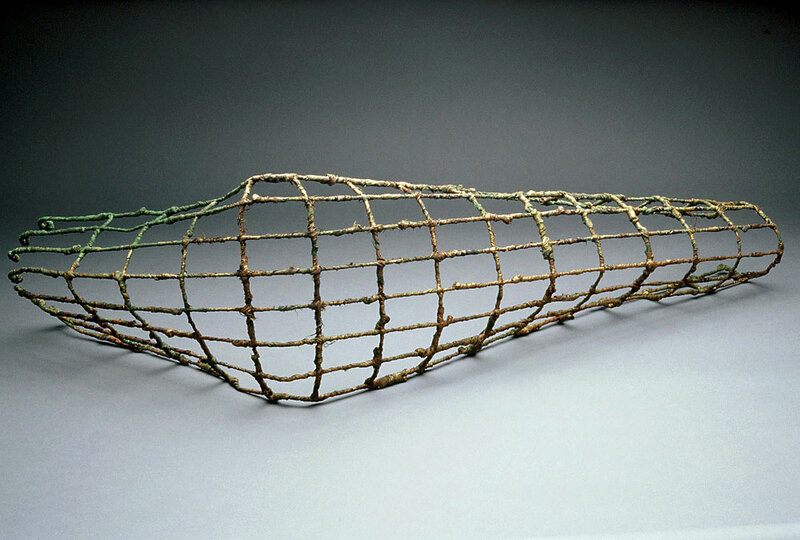 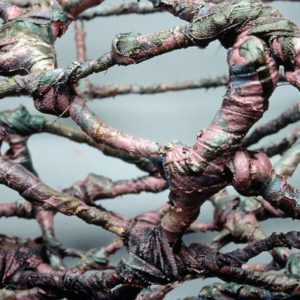 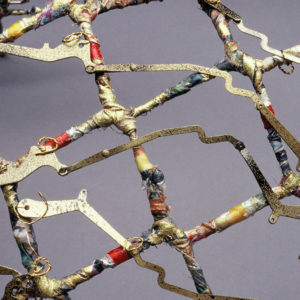 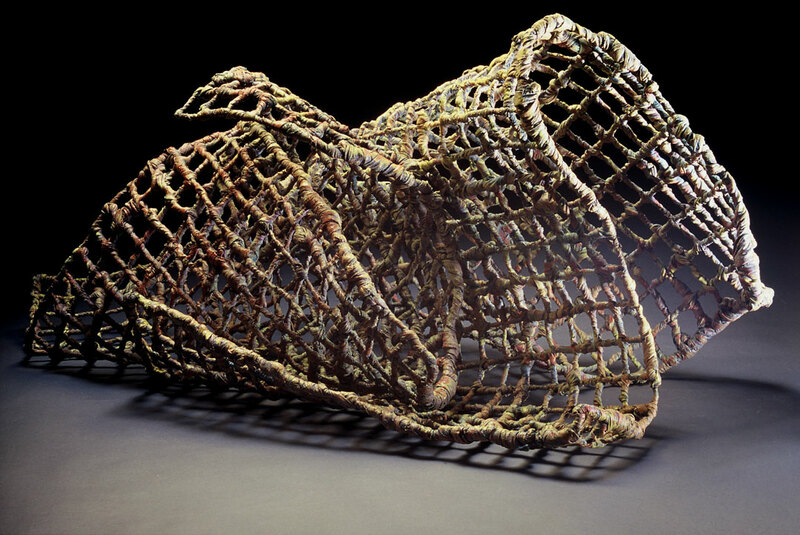 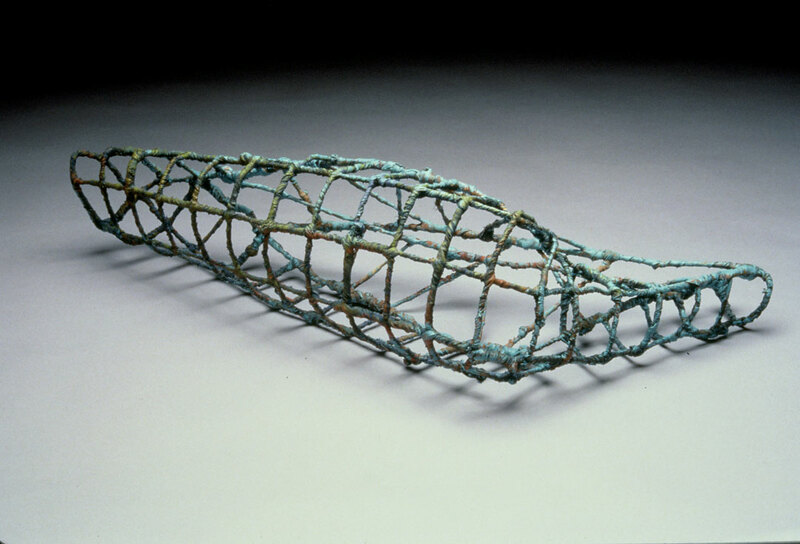 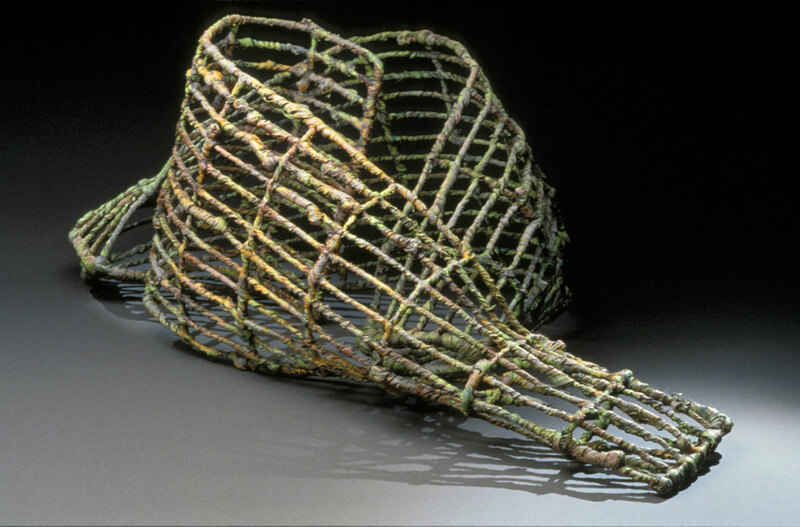 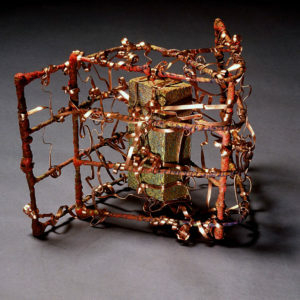 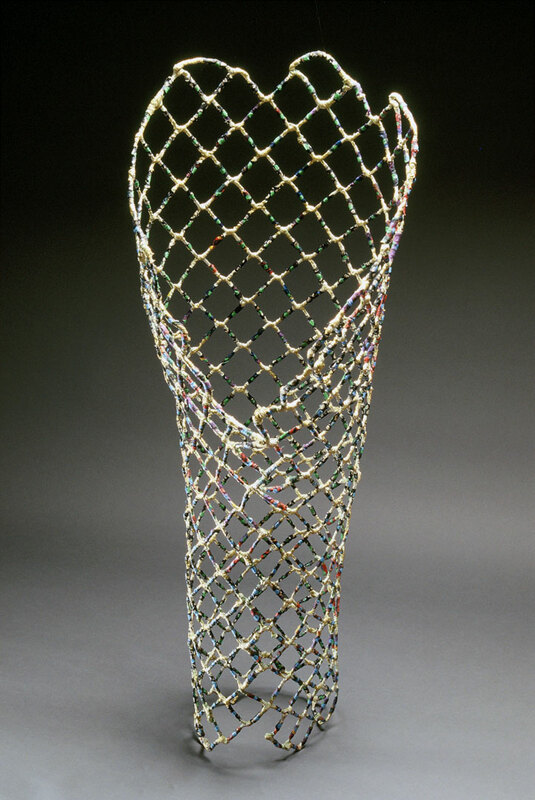 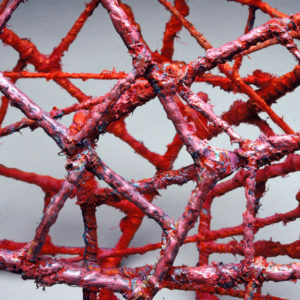 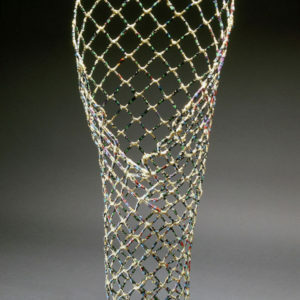 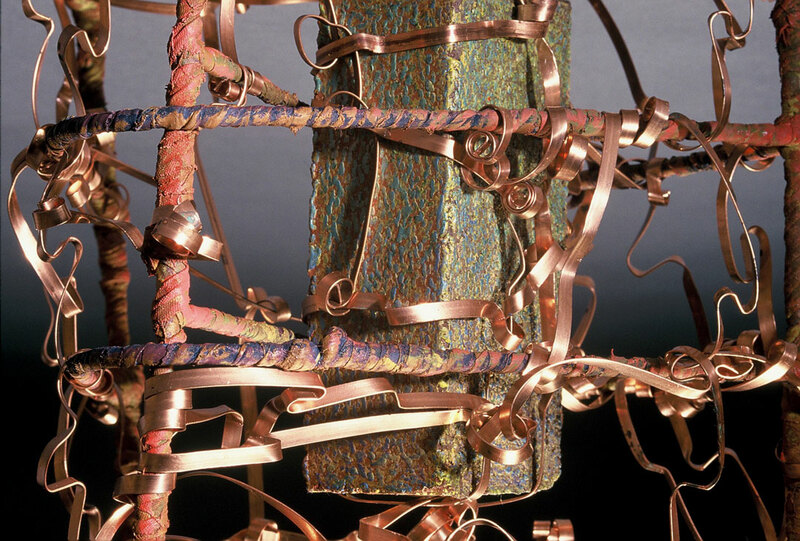 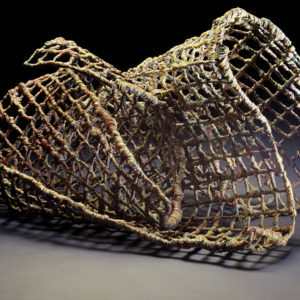 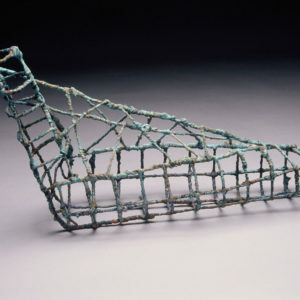 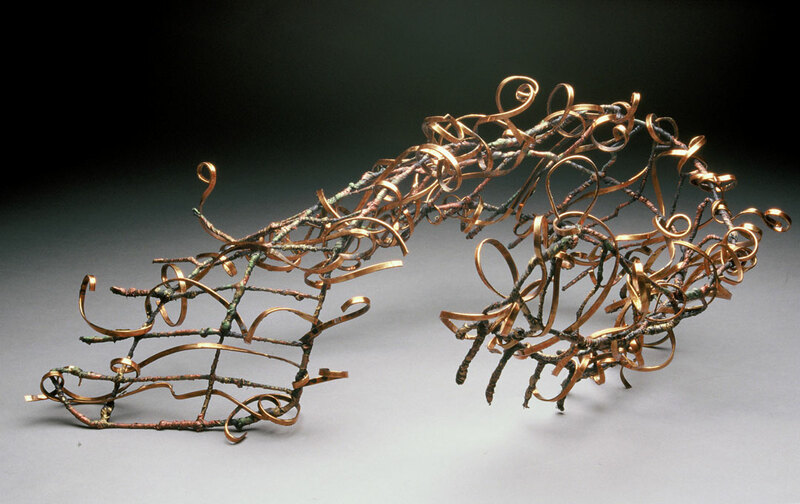 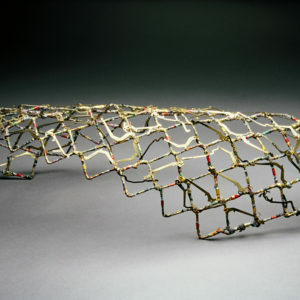 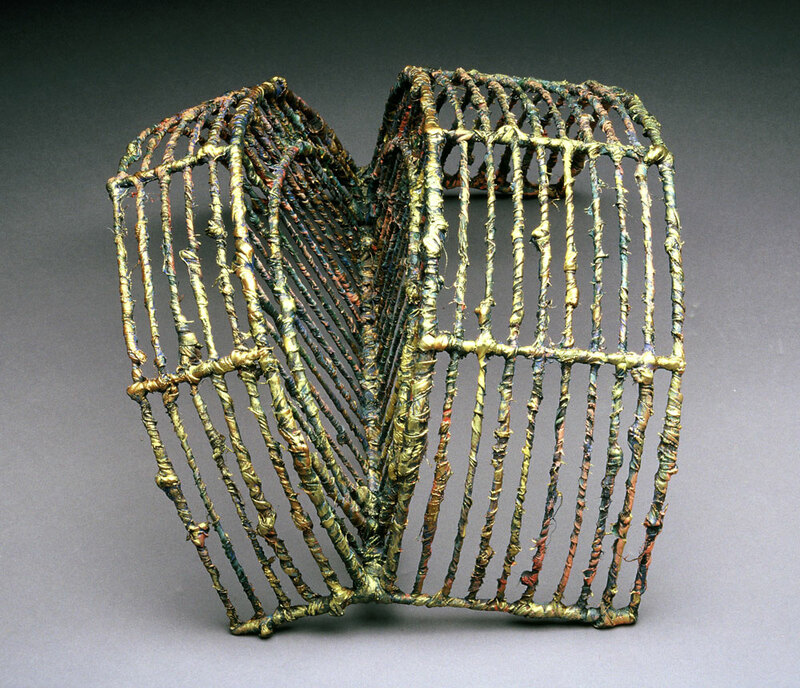 Discarded fencing was used to create an armature which was then wrapped with fabric strips and soaked with multiple layers of diluted acrylic paints. 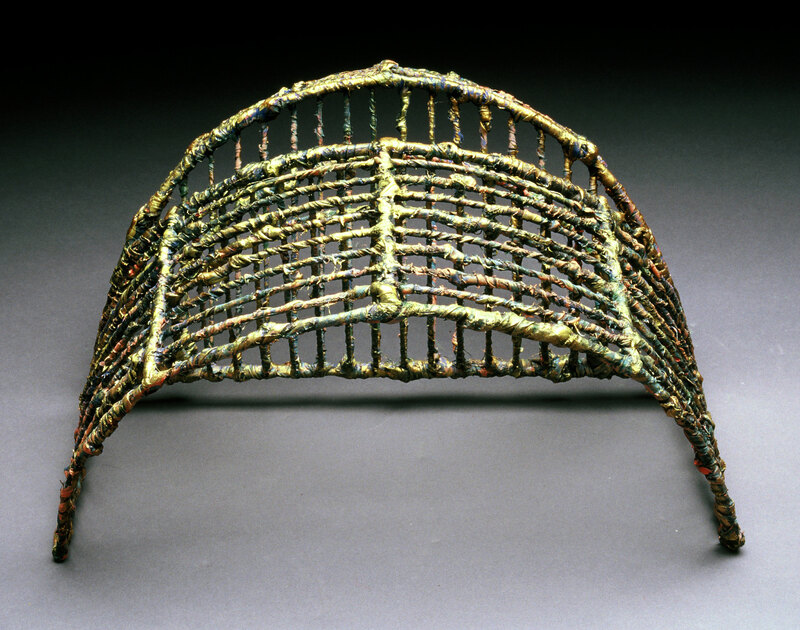 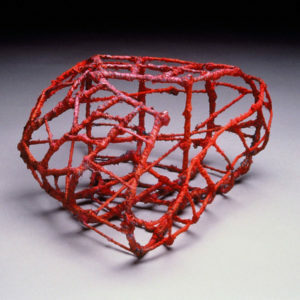 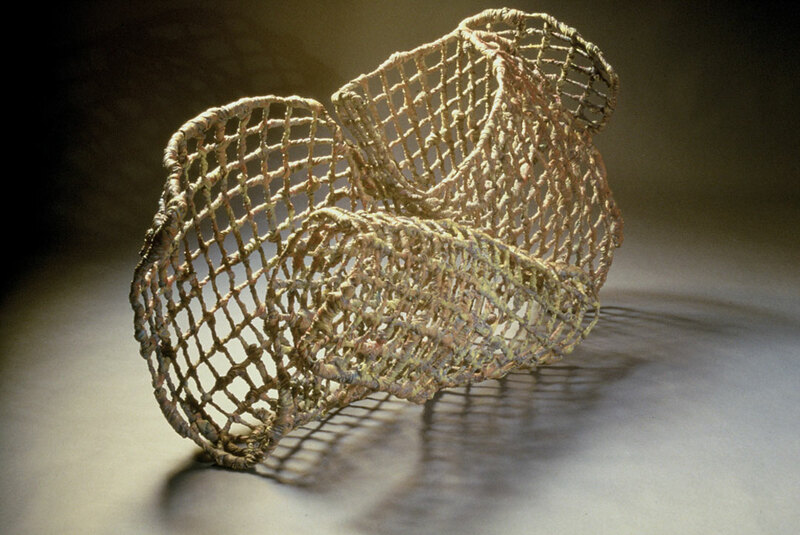 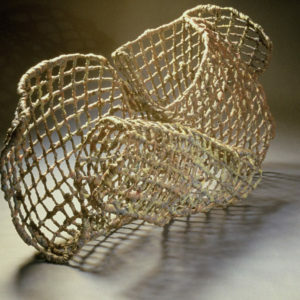 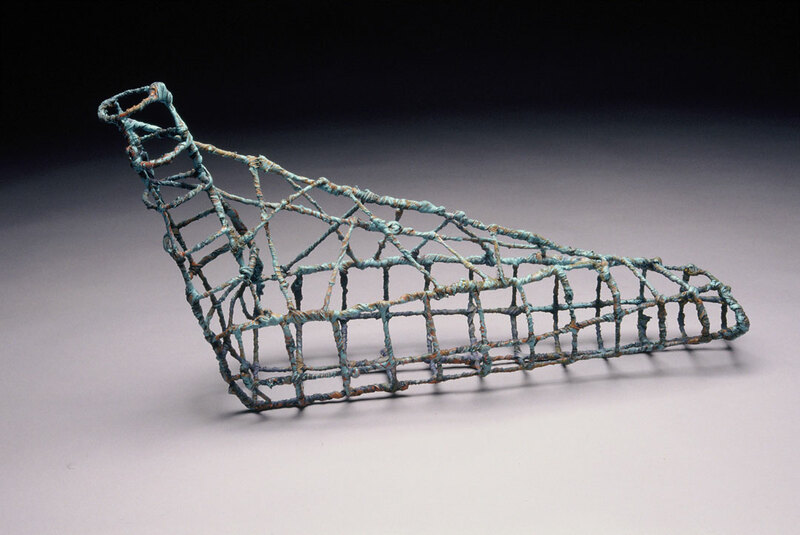 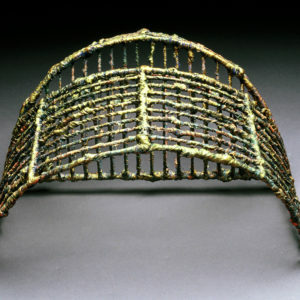 I refer to these as “open” forms because they do not have the embellishment of the earlier vessel forms. 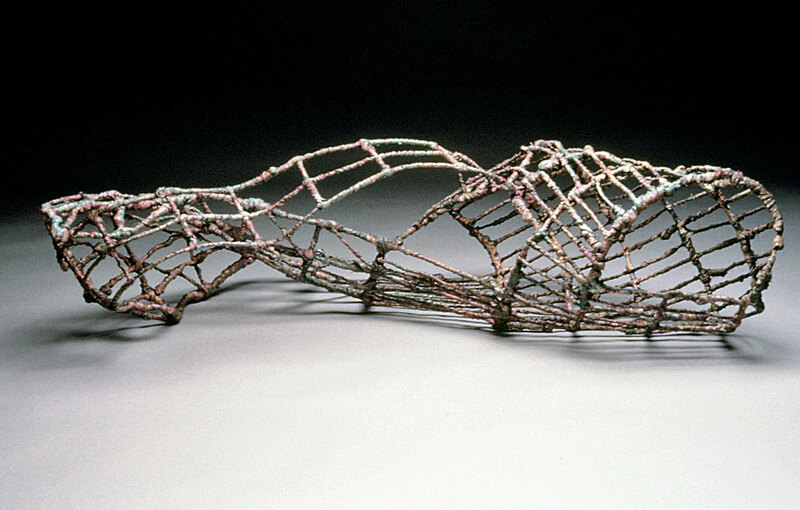 Many were inspired by the bareness of the landscape during a Midwestern winter.